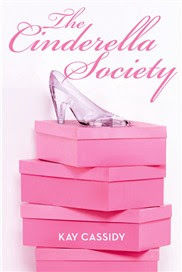 The Cinderella Society has a cover! * Read the first two chapters of Hush, Hush! 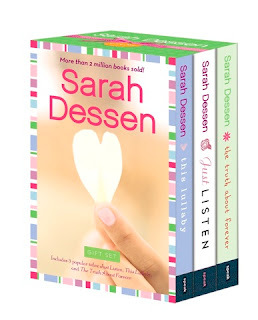 Sarah Dessen's books will now also come on a beautiful Book set. The Cinderella Society cover is so pretty. Oooo, what a lovely cover! I haven't read any of the Sarah Dessen books, but I hear good things about them. Now I can just wait til the box set comes out and get them all at once. Love the new trailer much better than the first. I'm so on Team Jacob. I really want to read The Cinderella Society! Hush, Hush was pretty good. I keep hearing about Sarah Dessen but haven't read any of her books yet. I do have Dreamland sitting in my TBR pile.